Dave, Cindy, Carol and Mary showed up ready for work and we had work for them. 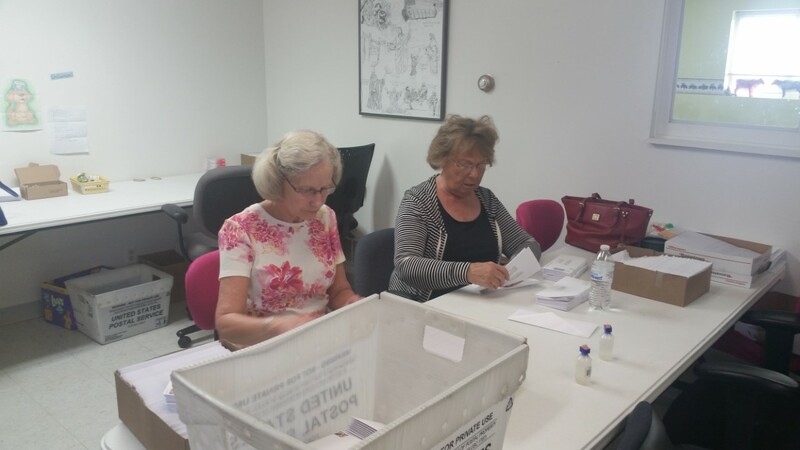 Carol and Mary were put to work stuffing envelopes with the next set of lessons for the prisoners waiting for them. 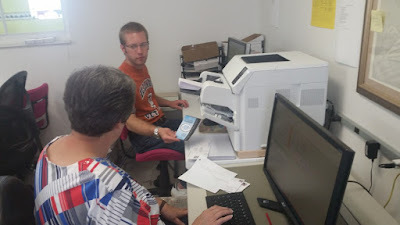 Dave and Cindy were put to work entering all the Bible requests for the week. As soon as those jobs were done we went into the other room to stuff Bibles. Once the Bible labels were printed and we had enough Bibles stuffed to fill the requests we quit for the day. Tomorrow's group with wrap, label and stamp the Bibles. SO very thankful for volunteers.